Although the music industry has shifted to digital media in the past few years and the use of physical media such as CDs has become less common, there are still certain situations where you might need to use CDs to transfer or back up your music. You may still find that the physical media is an optimal solution in various scenarios. That’s why you should know the way to transfer your music from your iPhone to CD so that you can take advantage of it when required. iTunes only allows you to transfer music that you have purchased from your iPhone. If you want to transfer music that you haven’t purchased to CD, then you will need to use another software to transfer it to your iTunes first. iMyFone TunesMate iPhone transfer is a powerful iPhone media transfer tool that you can use to transfer a wide range of files (including music) from your iPhone to your Mac or Windows PC. You can get the trial version for free and it is also easy to install. Available for both MacOS and Windows platform, this feature-rich software will allow you to transfer your music to iTunes so you can burn it to CD. 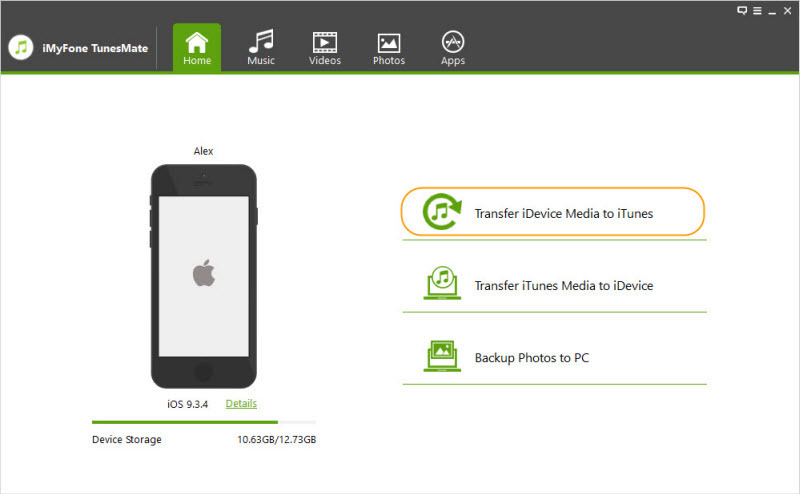 Two-way transfer feature which will allow you to transfer your media from iPhone to iTunes and vice versa. Amazing transfer speeds, far superior than any other media transfer method. You can directly extract files via iMyFone TunesMate to your Mac or Windows PC. You can also transfer freely-downloaded files as well as files purchased from Google/Amazon; not just the ones purchased from Apple. 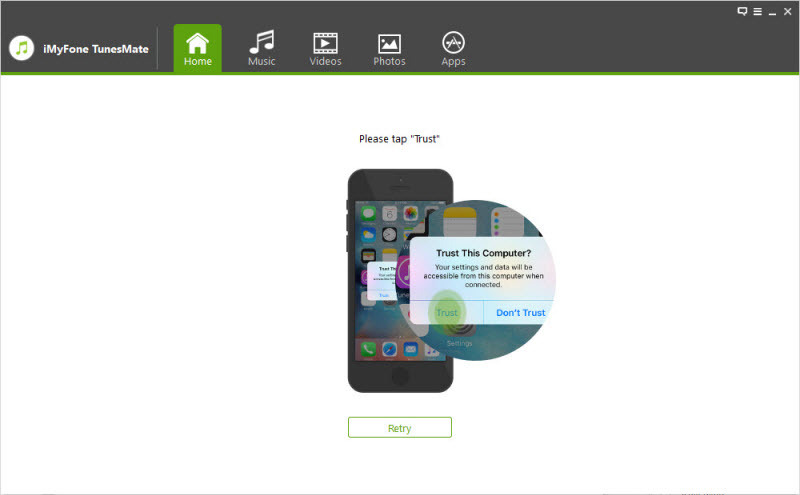 Step 1: Download iMyFone TunesMate from official website, install, and then launch it. Step 2: Connect your iPhone to your Mac or Windows PC via suitable USB cable. Your iPhone will be automatically detected by the software. Step 3: Now select ‘Transfer iDevice Media to iTunes’ from the homepage of the iMyFone TunesMate to proceed to media transfer process. Step 4: You will be asked to confirm your action. Click Start button to start transferring your files to iTunes. iMyFone TunesMate will only transfer files that are missing from your iTunes library to save your time. Now that you have successfully transferred your music to iTunes with the help of iMyFone TunesMate, you can transfer music from iPhone to CD via iTunes. The process of transfer is pretty straightforward. Follows these steps to know how to burn a CD on iTunes. Step 1: First, create a playlist of songs in iTunes. Select the songs you wish to transfer to CD. Make sure that your playlist is of appropriate size so it can fit on a single CD. The order of songs is also important as it will not be changed once your music is on the disc. 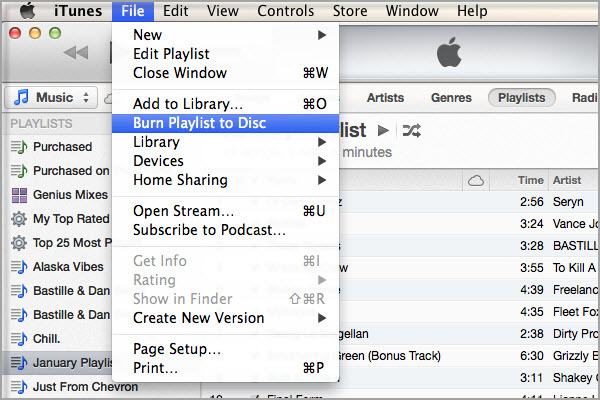 Step 2: Now use Burn Playlist to Disc option available under File tab on iTunes. Step 3: Choose your preferred burning speed and make sure it is not higher than the speed labeled on the CD. Step 4: Use Audio CD option next as it is the most universal format. Step 5: Now insert the blank disc in the disc drive and click on Burn to start the burning process. You can transfer music from iPhone to CD without using iTunes as well. However, you will first need to transfer the music to your computer using a software. Step 1: Install iMyFone TunesMate on your computer and launch it. Step 2: Connect your iPhone to your computer via USB. Step 3: Use Music tab on the software to browse the music available on your iPhone. 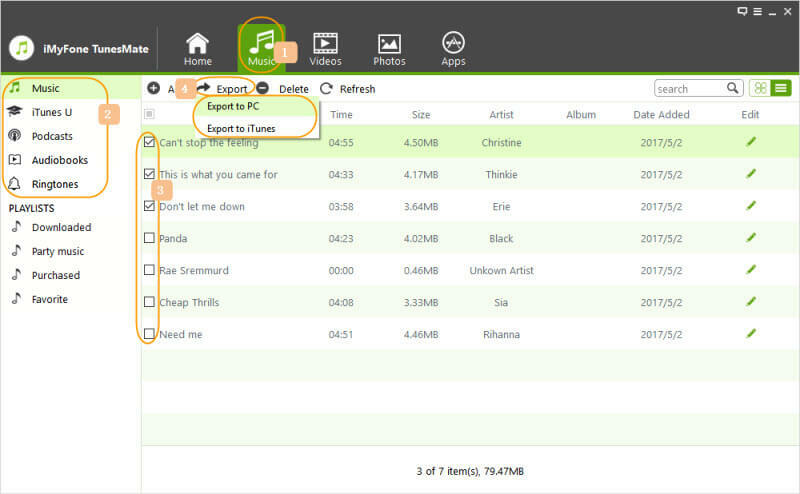 Step 4: Select the music files you wish to transfer and then click Export. Step 5: Confirm your action by clicking the Start button that will be shown in a pop-up window. 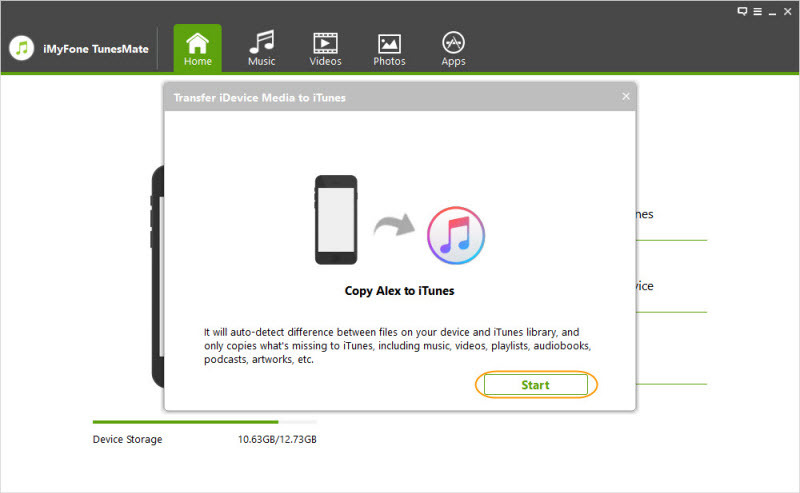 Your selected music files will start copying to your computer and you will also be notified once the transfer is complete. Step 1: Select the songs on your computer that you want to transfer to CD, then right-click and choose Send option and from there select CD burner option. 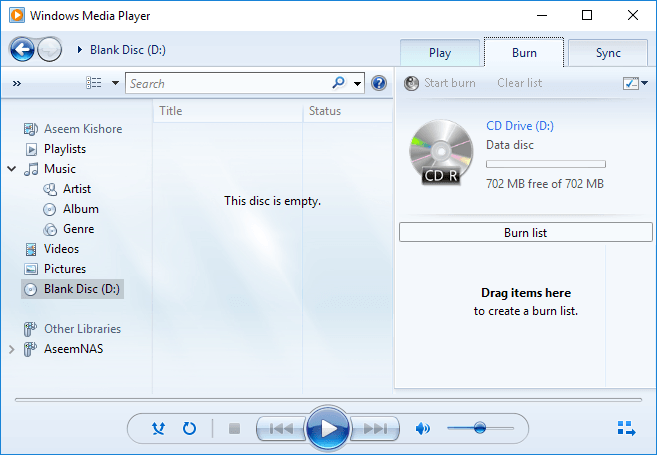 Step 2: Insert the blank CD and then select Burn to Disc option. Step 3: A new pop-up window will appear, which you can use to edit the title of the CD as well as set the burning speed. Step 4: After configuring these options, click Next to start the burning process. Once the burn is completed, you will be notified. In conclusion, these are some of the ways to transfer your music from iPhone to CD. You can see how important iMyFone TunesMate really is, especially when you have freely-downloaded files needed to be transferred.